This is going to be a follow-up (upgrade) to my previous post “Advanced Custom Fields on Front-end & Front-end Posting“. With the latest version of Advanced Custom Fields Pro, we can accomplish the frontend post submission & edit with ease. The previous article I wrote, was only about how to get your post submitted from frontend and lacked the editing portion. In this post, I am going to cover both submission and editing with detailed instructions so, you can easily apply it to your project. Tip: This process doesn’t require a custom post type. However, we are using it to cover more of the things we can do with this method. If you need to create custom post type but don’t know how you can use a plugin like Custom Post Type UI. For our fields, we will create two separate fields groups. First one as “Books – Essential”. First, we will add the image field for “Book Cover” which will work as the featured image. It is a good idea to limit the image upload to the post only. That will ensure non-admin users don’t see other media library files uploaded to the site. So, if you have many users that will do the posts you may choose Uploaded to post else, you may keep it to All. The next field is Genre a Taxonomy field, which we will use for the category of books. If you want to allow adding new categories keep the “Create Terms” field to Yes. Change it to No if you want to prevent users from adding new categories while they post. It is important to keep the “Save Terms” and “Load Terms” options to Yes for our purpose. The last step for this field group is to set the location. Select “Options Page” and keep it to “No options page exist” like the following image. On the next field group, we will call it “Books – Custom Fields”. The two fields that we will add to this field group are Book Price and Purchase Link. These are generic fields, just add them and this time select the location according to the following image. We are now adding these fields to the “Books” custom post type. This ends the creation of field groups for our frontend post submission and editing. Now that the template is ready, we simply need to create a new page, give it a meaningful title (ex. Book Entry) and select “Book Entry” from the page templates. You may see a different name if you modified the template name with your own choice. We are going to use a page template for our post submission. To make a page template, you may copy the page.php file from your activated theme folder and copy to the child theme directory. In case, you are not using a child theme, just copy the file to the currently activated theme folder with a different name like template-book-entry.php. You can find more about page templates here. 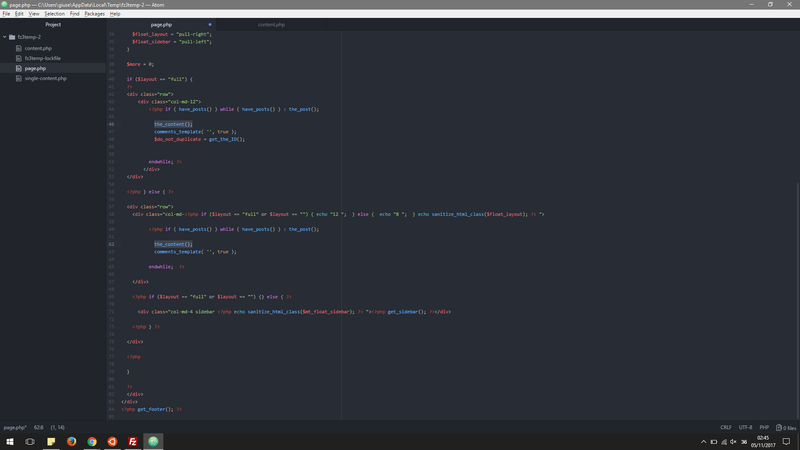 The next portion of code is going to be added in the body/content area of the page. Try to locate the_content(); on your code to paste in another piece of code. If your copied page.php content does not contain that, you may try writing in a container class, which is pretty common in most themes. You can also try inspecting a regular page to get the appropriate area. Here 6 is the ID of the field group. You will need to get the ID of both fields following that method. 'field_groups' => array(6,11), // Used ID of the field groups here. 'post_status' => 'publish' // You may use other post statuses like draft, private etc. You will notice that we have post_title and post_content as true. These two helps us automatically add the Title and Content field to the post submission form. Tip: If you are not going to use a custom post type, just don’t use the ‘post_type’ => ‘books’ part. For the Featured Image, in our case, the Book Cover field needs to be configured to set the uploaded image as the featured image to the post. To do that, we will add some code to the functions.php file. 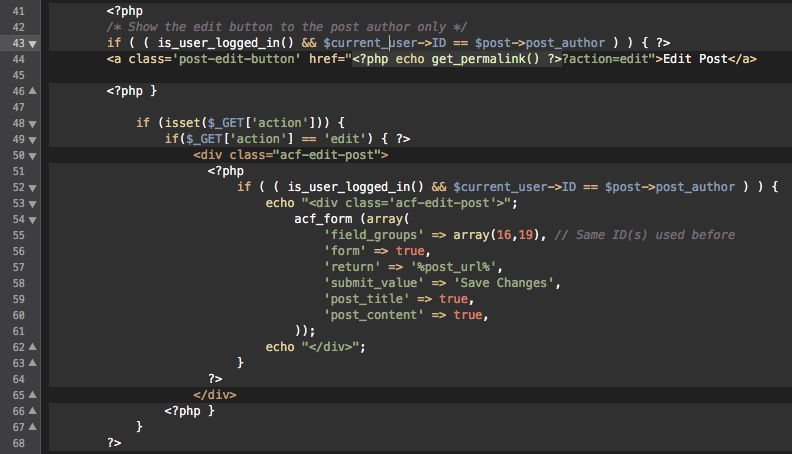 Again, if you are using a child theme, add the code to the child theme’s functions.php file. Here, we used the field name of Book Cover field which is book_cover on the filter and that does the job of setting the uploaded image as featured image. Amazingly, thats all that we need for the submission part! Moving on to the next portion which is editing the submitted post. While our post was submitted, we should be redirected to the post URL as we have set that in our code. That page is rendered by single.php if you don’t already have a post template for the Books custom post type. In order to create the post template, you may copy the single.php file from your current activated theme and make a new file called “single-books.php”. As our custom post type slug is “books” we are adding it after the word “single” and a “-“ followed by the extension of the file which is “.php”. We will also need to add the custom fields “Book Price” and “Purchase URL” in the single-books.php file to display the values. 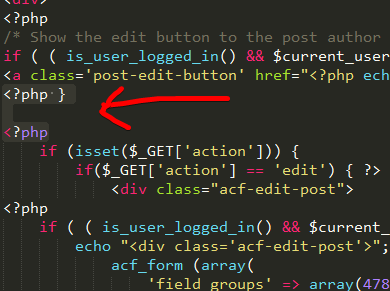 To improve the look and feel and the UI of the post edit form, I used a class “acf-edit-post” in the code. You can simply add a button to the template and reveal the post editor/updater form as you want. Here we followed a very basic way to show the form if the button is pressed. You may customize this more to your need with jQuery and CSS. Done! 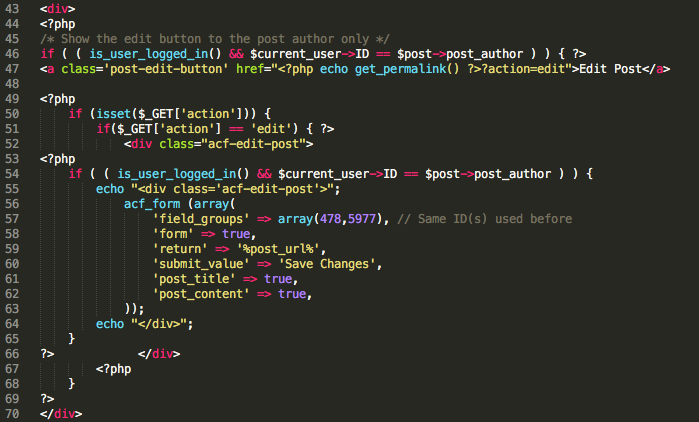 With these simple changes, you now have a fully functional front-end post editing feature with Advanced Custom Fields. You may check my new tutorial about styling the ACF frontend edit form with jQuery Sidr. You may want to customize some of the things as you implement the codes I have shared above. I am adding some snippets to help you with some common customizations. You may add the codes given bellow on the functions.php file or just above the acf_form() c0de on the template file. I hope this post helps you with frontend post submission and editing. Feel free to share your opinion in the comments and let me know how it went. Thank you. I was able to create the frontend form, but the edit code doesn’t seem to work. I am just getting a white page when viewing my single.php page. If I remove the edit code from above the page displays fine. Thanks for the reply I am still struggling with getting this to work. The frontend submit form is here: https://pastebin.com/xJ0YzGUr. Please check the attached image. On your single.php file, you have an error. you should not start a php code like you did on line no 36. Just delete the < ? php on line 36 and you should be fine. Let me know if you have any other issue with this. Thank you for this reply. I thought that looked strange and I had tried to remove it but the page still is broken. It seems there are two instances in your code in this tutorial that has these errors in it. I don’t quite know enough about php syntax yet to work it out myself, so I do appreciate your assistance. Thank you for this help! You are a hero today. It is finally working. The post content is showing under the edit fields. Can I disable that so that only the edit fields are displayed on this page? If you still face error, knock me on the live chat. Thanks. You, friend, are a real hero. I tried creating an ACF front-end post form a few years ago when there was zero documentation on the internet. I just saw this today, tried and it worked flawlessly! Thank you. I do have a question (more of a request, really). Would you consider tossing in some repeater action? The Edit option doesn’t appear as a result – any idea why these errors are appearing? Please try adding some extra code on top of line 43. Out of interest, is it possible to run this as an anonymous user? I will take an email, but don’t really want people to be able to log in to post. Yes, should be possible but needs change in code where user login conditions are applied. Ok, great, thanks. I’ll look into it. Is there a technique for closing the editor form and hiding it? I’ve to ask an help: I locate the_content() on page.php (copied in child theme) but I don’t understand where to copy the code. Thank you. You can add on line 66. If you face any issue, let me know. Al-Mamun, this is so fantastic. Thanks so much! One question: is there a way to add multiple submit buttons? Eg. one for “save as draft” and a second for “publish”? (I recognize that creates complexity on the editing phase, but I’ve worked that one out already.) Thanks!!! Can i get the Full Source code to edit the post with regular theme. I mean without genesis Theme Code ? Hi, this tutorial is for regular theme. You can follow this tutorial and it will work just fine. For Changing the label of Title and Content field / what to do if we used multilanguage ? You are a wizard. I was about to drop a load of money on a plugin that *might* have been able to do this for me. Thank you. ‘field_groups’ => array(6,11), // Used ID of the field groups here. Can this be done with ACF free version? Thanks. Yes. However, you will miss great features from the PRO version. I would highly recommend getting the PRO version. Totally worth it.